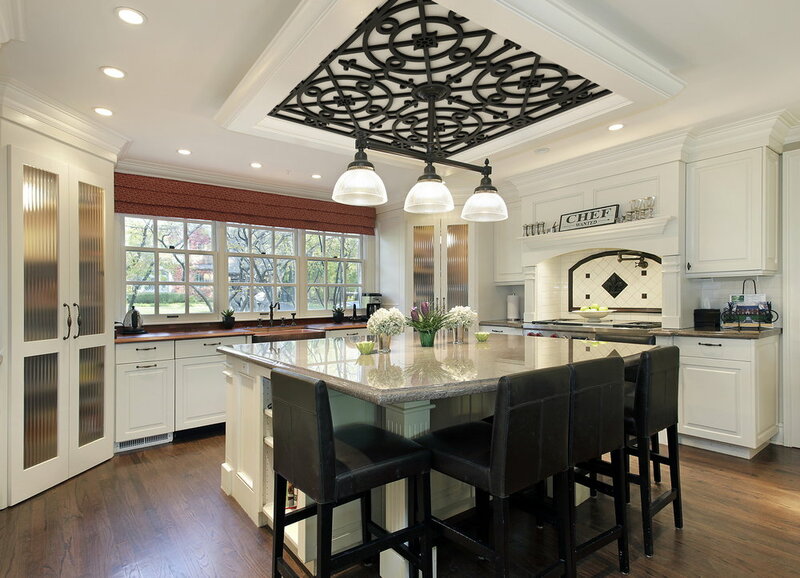 Decorative Grilles are an openwork architectural art form that goes back over three thousand years. Tableaux Decorative Grilles have become the "crown jewels" of many interior and exterior design projects by adding a unique finishing touch to a multitude of applications including window and ceiling treatments, decorative accents and more. 90 Decibels Design is an authorized re-seller of this unique product. 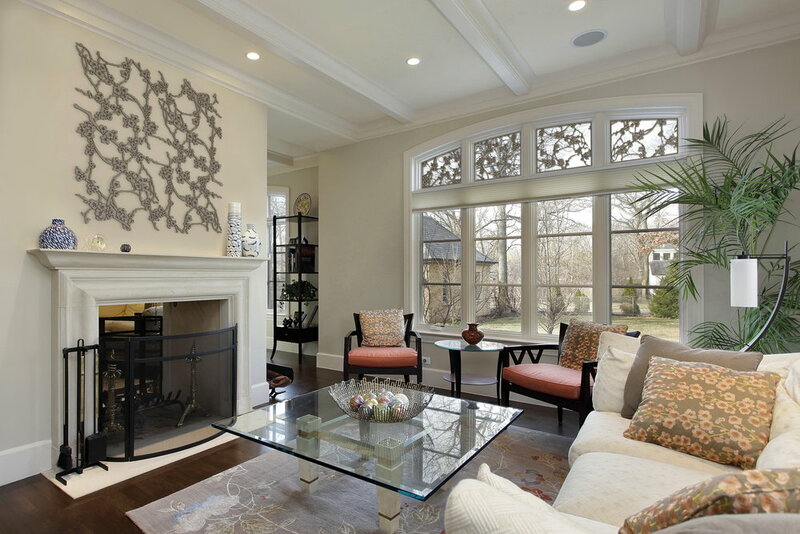 We look forward to helping you add this elegant lattice art form into your residential or commercial designs. Email or call us to review your needs today! Over 100 designs are available to bring your vision to life. Classic, contemporary, modern, transitional, urban, even industrial...Tableaux replicates wrought iron in the look of wood grain, veneer or rustic aged iron in numerous finishes and paint options. Each design pattern can be modified for your preferred shape, size and dimensions. View our Design Gallery to browse a wide variety of patterns...we're warning you, it will be hard to choose just one! Sustainable, environmentally friendly and manufactured using various substrates, Tableaux is suitable for interior and exterior use as wall decor, cabinetry, pass-thru's and niches.